City and Country meet and greet – Shepton Mallet Prison’s Vision one step closer? | Don't mention the M word! They came en masse from City and Country – the new owners of Shepton Mallet Prison – to the town last week. This was a charm offensive on behalf of City and Country rooted in a genuine wish to get to know the local perspective concerning the prison’s future a little better. I was invited to meet the City and Country team because of the local community consultation work I am doing around creating a vision and future use for this historic Shepton Mallet landmark. The contingent from City and Country included: Owner of the company: Tim Sargeant, Managing Director: Helen Moore and Paul Baker and Kevin Hunt – both Directors at Jones Lang LaSaile. Jones Lang LaSaile has previously represented the Ministry of Justice during the prison sale process. This is a real opportunity for local people to come together with a clear voice to state what the town needs from the future development of the prison. The town needs to benefit from any proposed plans. City and Country anticipate at least 12 months before they start to put plans together. The City and Country team also had meetings with local councillors during their visit to Shepton: Jeannette Marsh, Bente Height and County, District and Town Councillor John Parham. “They really love the prison site and think that they can do an award-winning redevelopment that is sensitive to the historic structure, meets some of the needs of the residents and will be viable for the long-term. They haven’t any plans just yet and will be consulting widely with all concerned including having open public meetings before they formulate their final plans. 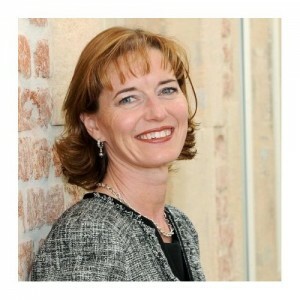 They also visited Tessa Munt MP. 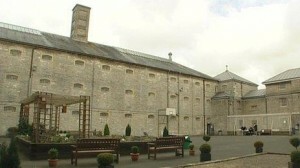 There has certainly been much debate and anticipation about the sale of the prison and what the new owner might do. This has been brought together using an online petition and facebook groups. I have also started to organise public meetings to allow a wider audience to give their views, to see if they can produce a vision statement that works constructively with the new owners as they shape their plans. City and Country have said they welcome this community input. The first of these public meetings was held last Thursday at The Thatched Cottage. We invited local groups in to discuss their needs to see if there was an issue with lack of suitable space for groups of a certain size. It became clear during our debate about the good things and bad things associated with Shepton that people saw it differently. One person’s view of a bad thing was not another person’s. This led us all to conclude that Shepton suffered from a poor perception, often from those living in the town. This is further exasperated with a lack of clear identity for Shepton Mallet as a town. Local people believe the future use of the prison could be a catalyst for giving Shepton its identity. This could help the town’s marketing. Shepton is a beautiful town with a range of assets – history and heritage – incredible surrounding countryside, a beautiful park, cider, fashion, music, carnival, amazing people and stone sheep on a roundabout! All we need is to ensure we use a unified community voice to make the prison development a real benefit to the town. City and Country will hold further public consultations in the town, including a bigger public meeting being organised with Tessa Munt.